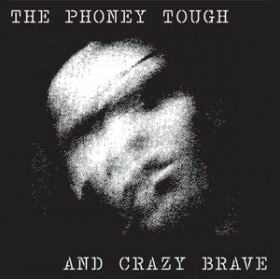 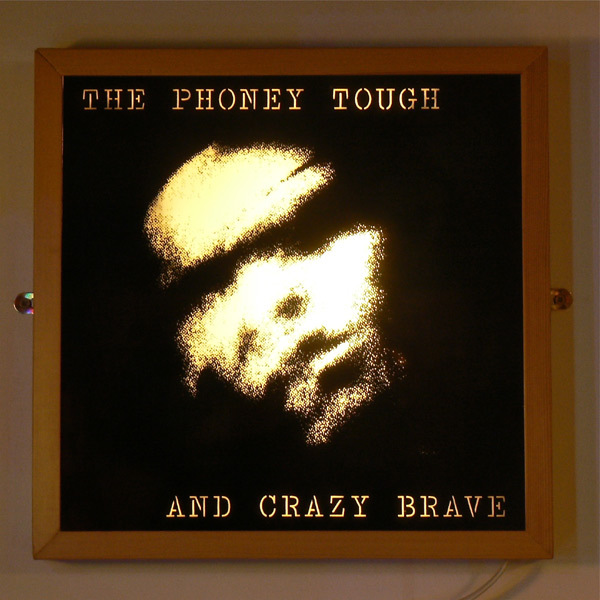 Text reads ‘The Phoney Tough and Crazy Brave’. 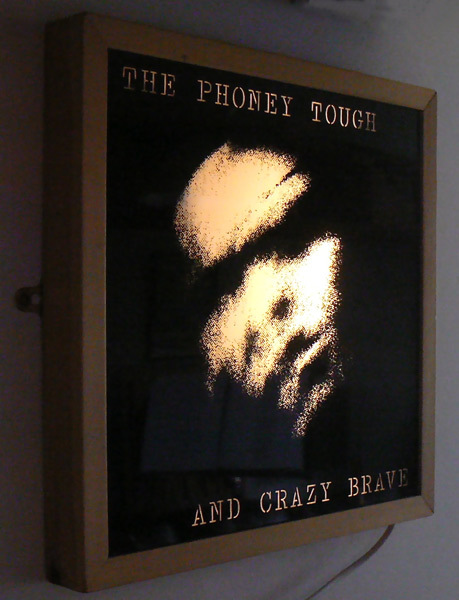 The design is black ink screenprinted onto white translucent perspex, mounted within a handmade wooden frame and back-box which is illuminated by a 6w fluorescent strip light. 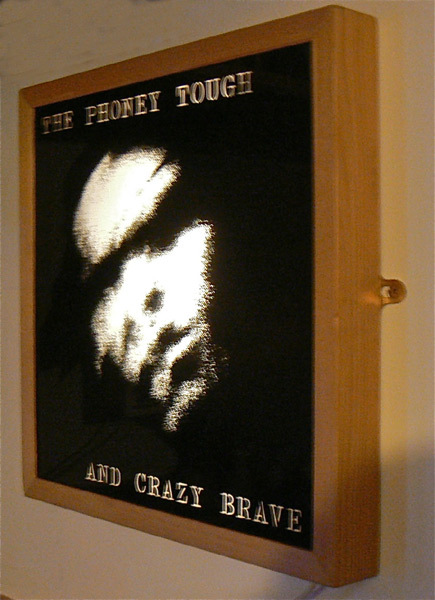 Like most of the lightbox designs and screenprints this is available as a screenprinted t-shirt.